Those of us who have lost a pet know how heartbreaking this can be. According to a recent survey, approximately 70 percent of Americans have a companion animal and around 63 percent of these pet owners consider their pet to be a member of the family. With cat and dog life expectancies reaching into the teens and 20s, animals often become integral parts of our daily lives for many years, thereby creating meaningful, dependable and loving relationships. When a loved one passes away, grieving is a natural response that is expected as a social norm. Unfortunately, the same doesn’t always hold true when an animal dies. Neighbors or friends may say, “She was JUST a dog.” Many people may not understand the emotional effects and devastation of losing an animal companion. Acknowledge that healing takes time. 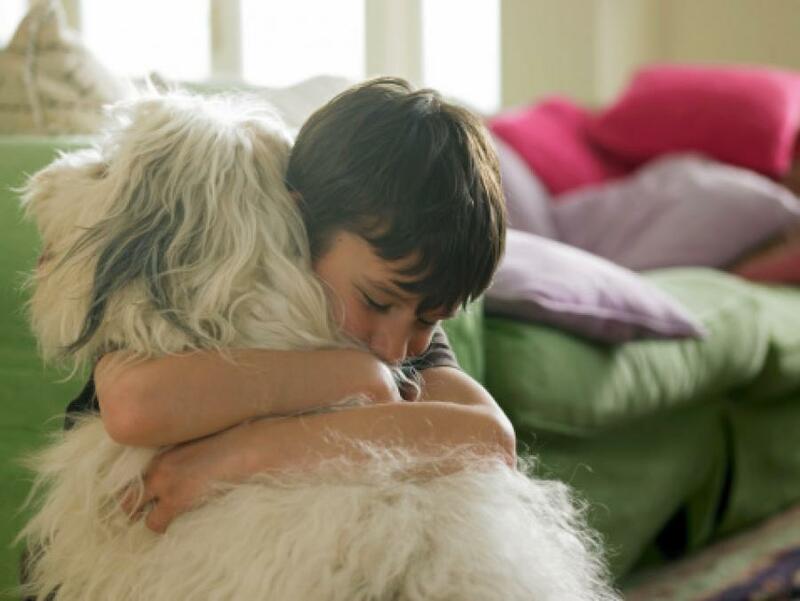 Your pet was loyal to you for many years, offering constant love and happiness whenever you needed it most. Your pet may have slept with you at night, sat by your feet at the kitchen table or followed you around the yard. Your pet’s loss will certainly be palpable (and your home may be quieter), and it is necessary to give yourself days, weeks or even months to adjust to the change and process the emotions you may face day-to-day. Be open to closure. Honoring the life of a pet is a great way to process the death and pay tribute to the many memories you had together. Having a small funeral process can offer a sense of comfort. Whether through burial, spreading ashes or even a small memorial service, having a special, sentimental commemoration can provide a dignified celebration of the life of your pet. Be honest with yourself (and others). Viewing your pet as part of your family means you will most likely grieve your pet as the loss of a family member. Recognizing and discussing the loss is an important stage in the healing process. Journaling, talking with a friend and taking care of yourself are necessary in order to stay emotionally healthy during this difficult time. In addition, it is important to be honest with children. Losing a pet is sometimes hard for a child to grasp. Saying, “Fluffy has gone to live somewhere else,” or “We are putting Lucky to sleep,” can be confusing and upsetting. Offering age-appropriate explanations about the death of the pet will provide better understanding for your child. Honestly expressing your feelings will also help your child process the nature of the loss and see that it’s okay to be sad - a healthier strategy for you and a helpful alternative for others. Be thoughtful about getting another pet. Many families often think that getting another pet may offer a good distraction from the mourning process. Alternatively, some pet owners feel that getting another pet would be replacing the previous pet and would therefore be insensitive and upsetting. Although your beloved pet is certainly not replaceable, this does not mean that you can’t ever again experience the joy of pet ownership. Weigh the emotional, physical and financial pros and cons before thinking of becoming a pet owner once again. Be cognizant of your grief process and how another animal companion may affect you and your family. If you are feeling the significant loss within the home, try framing a picture of your cat or purchasing a Labrador plush toy for your toddler. Little reminders around the home may offer the temporary “replacement” you need. In time, you may be able to once again provide a loving home for a pet. Ways to remember your pet: Donate to a rescue organization in your pet's name. Create a pet photo album or memorial book. Make a piece of jewelry out of your pet's ID tags. There are many ways to cope and help yourself and others deal with the grieving process. Celebrate the life of your pet, give yourself time and take comfort in the many loving memories your animal companion has provided you over the years.